SHREVEPORT, LA — President David Rowe announced the appointment of Dr. Jenifer K. Ward as Centenary’s Provost and Dean of the College. 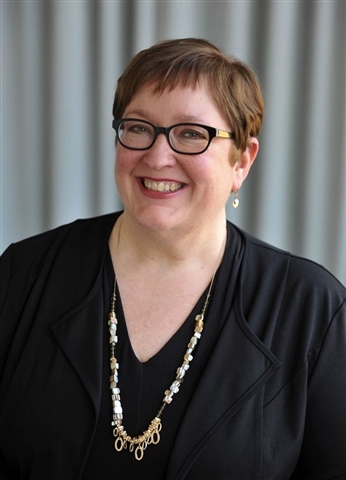 Ward will begin her new role July 1, leaving her post as Dean of the College at Cornish College of the Arts in Seattle. Ward brings 28 years of higher education experience to Centenary. In addition to her role as Dean, Ward has been the Project Director for The Centennial Lab at Cornish, a $16 million building renovation project, and The Neddy at Cornish, a regional arts program. Prior to these roles, she was named Interim Provost in 2012 after serving as Associate Provost since 2007. Her academic background is in foreign languages, and she taught German and served as Department Chair at Gustavus Adolphus College in Minnesota. Her teaching experience also includes faculty positions at Rhodes College and the College of Wooster. Ward was also part of a nine-member working group appointed by the Executive Council of the Modern Language Association. The group, funded by a grant from the Teagle Foundation, explored intersections between the disciplinary majors and the larger "liberal arts" project in the scope of a changing world. "I am honored to join the committed group of individuals I met during my visit to Centenary in the work of advancing this jewel of an institution,” Ward said. “Liberal arts colleges occupy a unique place on the evolving landscape of higher education, and Centenary's distinction lies in the intersection of its compelling history and its outward- and forward-looking vision. I look forward to contributing my time and energy to this vision, and am eager to greet my new colleagues and the whole Centenary community very soon." Ward has been an active scholar and advocate in the arts and languages as well as a board member and advisor for community organizations in and around Seattle. Originally from Conway, Arkansas, she earned her Ph.D. in Germanic Languages and Literatures from Vanderbilt University and her B.A. from Hendrix College. The appointment was made following an exhaustive search process by a faculty and staff committee chaired by faculty member Dr. Matt Weeks, Chair of the Psychology Department at Centenary. Ward will replace Dr. Karen Soul who will continue to serve as Interim Provost through June. Centenary College of Louisiana is a selective, residential, national liberal arts college affiliated with the United Methodist Church. Founded in 1825, it is the oldest chartered liberal arts college west of the Mississippi river and is a member of the Associated Colleges of the South.